It’s hard to imagine naming your company “Planet Earth”, or “Universe” or “Everything Under The Sun”, but Google comes pretty close. 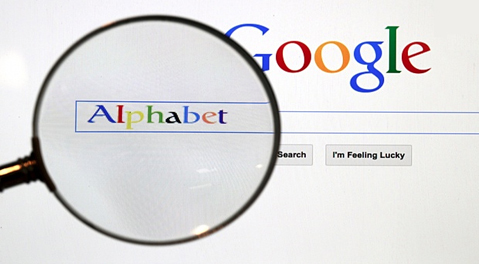 In recent corporate re-structuring hailed (temporarily) by Wall Street, Google restructured and re-named itself “Alphabet” to bring all its disparate companies under one roof. From its core search and advertising business that underwrites it all, to energy, to curing cancer, to driver-less cars, to web-enabled eyeglasses, Alphabet now enlists “moonshot” projects along with what everybody knows Google best for: search. Google’s missions are laudable and reflect worthy passions among its founders, Larry Page and Sergey Brinn. After all, besides moonshot pioneer Elan Musk, few executives of publicly held web companies do not often stray too far from stockholders’ collective wishes: core business. According to The Guardian’s Evgeny Morozov, in his August 16, 2015 piece, “Google may have changed its name but the game remains the same”, the company is simply temporarily righting its troubles with investors. Morozov writes that Page and Brinn aspire well beyond “banal search” and the advertising that supports it. Page and Brynn revolutionized search and have established Google — that is, Alphabet — as the undisputed data Goliath of our digital times. The very verb “to Google,” now means “to search” for mostly all of us. And the business pair are serial (and I would argue “benevolent”) entrepreneurs at the highest levels with their work outside search. So even if Morozov and others consider the re-naming of Google a deft attempt to boost Wall Street stock, so be it. This entry was posted in Internet of Things, Search, SEO, Web Design on August 17, 2015 by admin.